The National Australia Bank has offloaded its private wealth business in Singapore and Hong Kong to the Oversea-Chinese Banking Corporation. NAB has announced the sale of its US$1.7 billion mortgage portfolio and US$3.05 billion deposit portfolio with 11,000 customers in Singapore and Hong Kong. The sale of the business to the Oversea-Chinese Banking Corporation (OCBC) is expected to complete before the end of 2017 and "will not have a material financial impact on NAB", according to a statement by the bank. 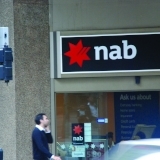 NAB executive general manager for international branches Peter Coad said the sale would "simplify" NAB's Asian business. "The sale of our private wealth business, which is largely a retail business for private wealth clients in Hong Kong and Singapore, means our banking offer in Asia remains very focused on business, corporate and institutional customers," Mr Coad said. NAB general manager for Asia (ex-Greater China) Neil Parekh said the transition is expected to complete by the end of the year. "We will work closely with OCBC Bank during the transition to completion to ensure a smooth process for customers moving to a business with a comprehensive product offering, as well as supporting our people as we work through impacts and options," Mr Parekh said.